Win Tickets to the Biggin Hill Festival of Flight Competition 2018 - Military Airshows in the UK. The 'Hardest Day' is a name given to the largest aerial engagements during the 'Battle of Britain', but what was the date? Please select the correct date of the 'Hardest Day'. Select A, B or C.
The answer was B. 18th August 1940. This air show competition will run from the Friday 6th July 2018 until midnight on Friday 20th July 2018. There can only be one entry per Email address. We do not accept any responsibility for any cancellation of this event or failing of the airshow organiser or postal service. Winners with correct answers will be selected at random. The judges decision is final. The winners will be announced on this website after Friday 20th July 2018. Address and Email details will only be used for the purpose of this competition and will be kept strictly confidential before they are deleted at the end of this competition. Links:- Loquax, UKcompetitions, ThePrizeFinder, UKWins, CompetitionCompanion, Hotukdeals, CompetitionDatabase, CompetitionTime, AllUKCompetitions, OfferOasis, CompetititonsandGiveaways. There are eight pairs of Biggin Hill Festival of Flight 2018 tickets to be won. Each winner will receive a pair of tickets to this exciting event which takes place on 18th - 19th August 2018. Simply answer the competition multiple-choice question. Then enter your name, email address, postal address and the day that you would like to attend, to have a chance of winning a pair of tickets. The competition will run until midnight on 20th July 2018, with the eight lucky winners being notified shortly after this date and receiving their prize to this thrilling event. Details of this air show can be found on the official website. Biggin Hill Festival of Flight takes place on 18th - 19th August 2018 at London Biggin Hill Airport, Bromley in Kent. This year's Festival of Flight will look back over 100 years of RAF History helping to commemorate and celebrate the centenary of the Royal Air Force. 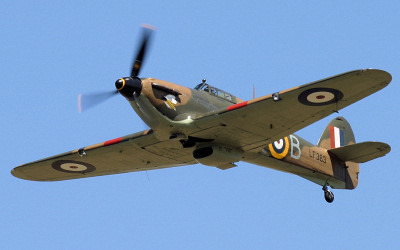 Biggin Hill has played a key role in air defence throughout its RAF history by pioneering the process of identifying and intercepting enemy aircraft as well as radio communication. The RAF base at Biggin Hill, south-east of London, also played a central part in the Battle of Britain, during 1940. 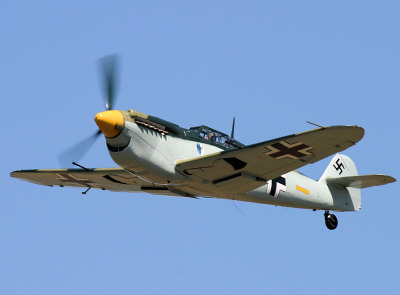 The German Luftwaffe initially concentrated all their strength on knocking out Fighter Command and made repeated attacks on RAF airfields, including Biggin Hill. On 18th August 1940, the Luftwaffe made an all-out effort to destroy Fighter Command and launched a major attack on Biggin Hill, dropping hundreds of bombs, at high and low level, onto the airfield. The air battles that took place on this day were amongst the largest aerial engagements in history and this day became known as 'The Hardest Day'. The Biggin Hill Air Festival will recreate this battle by filling the skies with Spitfires and Hurricanes, exactly 78 years later. Despite the repeated Luftwaffe attacks on Fighter Command's airfields, and serious damage to Biggin Hill, none of the airfields were out of action for more than a couple of hours. Frustrated by the seemingly endless numbers of British fighters still engaging their bombers, the Luftwaffe switched their tactics to the sustained bombing of London, which helped Fighter Command to regroup, replace aircraft, repair airfields and infrastructure, and go on to win the Battle of Britain. The gates open at 8.30am and the event finishes at 5.30pm. The flying display is expected to start at 12.30pm and finish at around 5.30pm. The air display will include at least twelve Spitfires and Hurricanes, a Buchon BF109 and hopefully an original Messerschmitt BF109E. 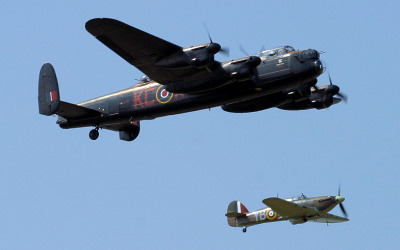 The Royal Air Force will display the Red Arrows, Chinook and the BBMF Lancaster, Spitfire and Hurricane. There will also be displays from the Bristol Blenheim, B-17 Flying Fortress, Great War Display Team, OV-10B Bronco, Aerosuperbatics WingWalkers, Turbulent Display Team and Rich Goodwin's Muscle Pitts aircraft, with more acts to be announced. To commemorate the 'The Hardest Day', which took place 78 years ago, on 18th August 1940, there will be an airfield attack using pyrotechnics. At the end of the flying display a solo Spitfire will perform a victory roll to the sounds of 'Jerusalem' and the National Anthem. The solo Spitfire will be a Mk.IX (TA805), usually named the 'Kent Spitfire' and will be flown by Dan Griffiths. A list of display aircraft can be found on the official website. On the ground, there will be an extensive exhibition area, a classic, modern and military car area, static aircraft park, fun fair, children's amusements, exhibitions in support of the RAF100 theme, as well as two food courts serving up freshly prepared food and drink. Tickets to this event are now on sale and must be purchased on-line and booked in advance. Please note that tickets will not be available on the gate. To purchase tickets then please go to the official website. from the West, leave the motorway at Junction 6, from the East leave at Junction 4. For satnav users the address is: Churchill Way, Biggin Hill, Kent, TN16 3BN. From Bromley South Railway Station, frequent trains serve London Victoria which takes as little as 25 minutes. Other trains from Bromley South also serve Sevenoaks, Orpington, Dover Priory and Ashford International (Eurostar Terminal). The points for pick-up will be the 320 bus stops in the valley and at the Post Office on Main Road. The first free service will be at 9.00am and will continue every 10 - 12 minutes up to 11.00am. At the airport, the service will terminate in Churchill Way by Maitland View, providing easy pedestrian access to the spectator enclosure. 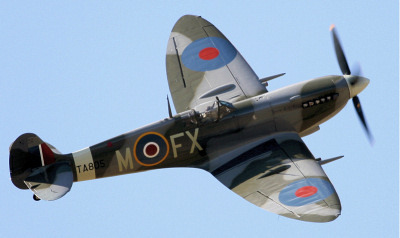 Details of the Biggin Hill Festival of Flight can be found on the official website.